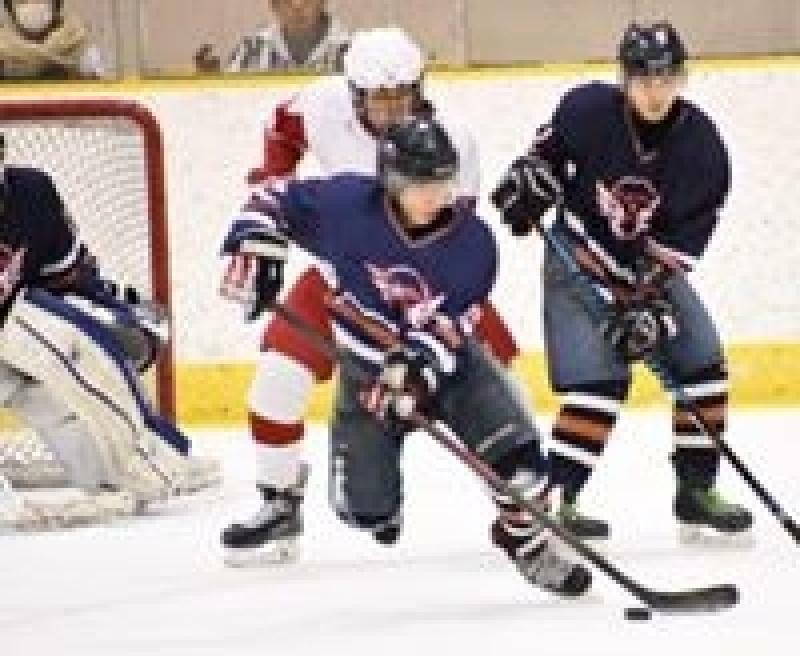 Okayama University’s men’s ice hockey club gained third place in Division 2 of the 91st Japan Collegiate Skating and Ice Hockey Championship held at New Tokiwa Skate Center and Dynax Numanohata Ice Arena in Tomakomai City, Hokkaido from December 26 through 28 last year. This tournament, divided into two groups—Division 1 and Division 2—, was contested by universities around the country that went through regional preliminaries. 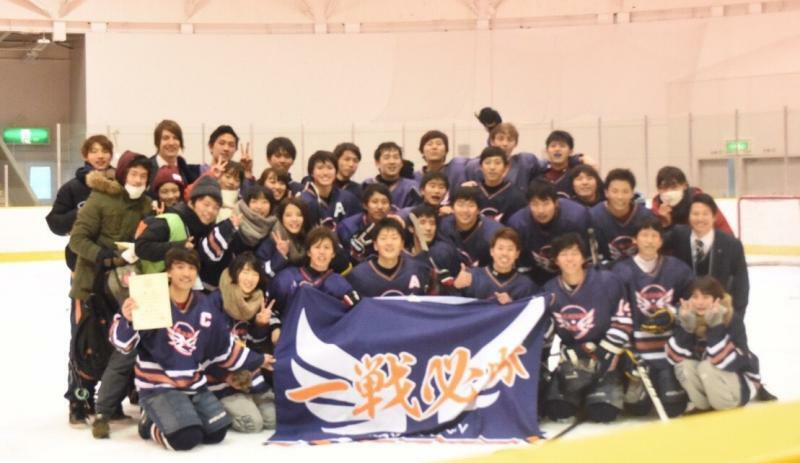 Our university’s men’s hockey club, the runner-up in the Chugoku and Shikoku regional preliminaries, a tournament of seven universities, successfully advanced to Division 2. The club’s goal for this year is to advance to a national tournament and to earn the first victory at the event. Even in the Division 2, it is not easy to win against a strong team since more than 90% of club members are novice players. However, a high sense of purpose, day-to-day endeavor, and more effective strategies devised by instructors enabled our team to chalk up a win in the first game of the eight-team tournament. Although it lost in the semifinals, our team came in third after snatching victory in the third-place play-off, which was neck and neck.